Contact a Twin Falls personal injury attorney to find out how you can get the compensation you need after you’ve been injured. If you are ever unfortunate enough to suffer a serious injury, you know there is no shortage of equally serious concerns running through your head. In addition to worrying about your physical recovery, you’ll have concerns about your ability to return to work, damage to your property, and your emotional stress. Hiring the right Twin Falls personal injury lawyer can alleviate many of these fears, however. If you have reason to believe your injury was the result of someone else’s negligent actions, Craig Swapp & Associates can help you file a personal injury claim for the compensation you need to recover. It’s not uncommon to receive a call from an insurance adjuster shortly after your injury occurs. The insurer will often say it’s only looking for a statement, which sounds innocent enough, but once you give a statement, your interpretation of what happened may be locked in. Don’t give a statement without first consulting a personal injury lawyer. Another tactic insurance companies use is offering you a settlement early in the process. A quick settlement offer should set off alarms in your head. The insurance adjuster is hoping you aren’t aware of the extent of your injuries so you will accept an offer that doesn’t truly cover all of your damages. Accepting a low initial settlement offer is often a great deal for the insurance company and a bad deal for you. But your Twin Falls accident injury lawyer will help you fight back against the insurance company’s tactics. Some of the repercussions of a serious injury are relatively easy to determine. For example, you will know how much money you spent on medical expenses, how much income you lost as a result of the injury, and how much it cost to replace any damaged or destroyed property. But to accurately value a personal injury claim, you need to look beyond your current costs and see the big picture. Do you need regular physical therapy? Could you need surgery at some point? Is it possible you may have permanent physical limitations for the rest of your life? Have you lost the ability to enjoy the activities you loved before you were injured? The answers to these questions will help determine the true long-term value of your personal injury claim. 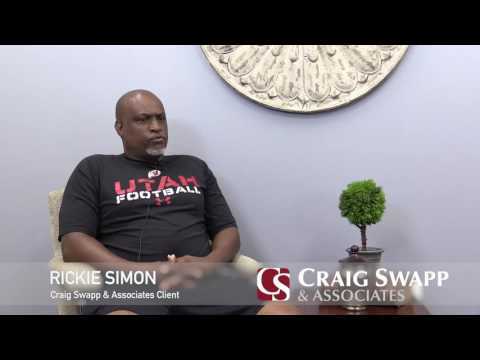 To get a clear picture of the value of your personal injury claim and partner with a legal ally who won’t stop fighting for you, get in touch with Craig Swapp & Associates. To take the first step toward obtaining the compensation you need to recover from your injury, contact a Twin Falls personal injury lawyer by calling us at 1-800-404-9000 or filling out the online contact form below.